Frontera Strategies Names Anna Rojas as CEO. Frontera Strategies announces that Anna Rojas, RN, MHA, CPHQ has been named CEO. Anna Rojas brings leadership, inspiration, operational experience, clinical and a passion for patient experiences to Frontera. Frontera partners with Living For Zachary Foundation to bring Heart Screenings to Highland Park ISD. Living4Zachary Heart Screenings are coming to Highland Park Independent School District on Thursday, August 6th at Highland Park High School Highlander Stadium! Screenings are $100 and a portion of the proceeds goes back to the Highland Park Independent School District Athletic Department. Spaces are limited and filling up quickly, so SIGN UP TODAY for one of these potentially life-saving screenings! Visit www.studentheartscreenings.com and select Upcoming Highland Park Screenings. Available for incoming 7th-12th graders. Frontera is partnering with Living for Zachary and Walgreens to offer potentially life-saving screenings that include an echocardiogram, ECG and blood pressure check. 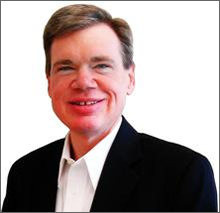 Nate Nelson, co-founder and partner of Frontera, is a featured expert on D Healthcare Daily. Read his article on Supporting Your ACO With an Ancillary Strategy here! Frontera Strategies Launches New Business Venture. SAINT PAUL, Minn., Feb. 27, 2013 /PRNewswire/ — MGC Diagnostics Corporation (MGCD) (formerly Angeion Corporation), a global medical technology company, today announced it has entered into a partnership with Frontera Strategies, LP ("Frontera"), the leading provider of in-office cardiac, pulmonary, vascular and neurological testing services. Frontera has been recognized by ModernHealthcare as one of the top 100 employers in the healthcare industry. See the list here. 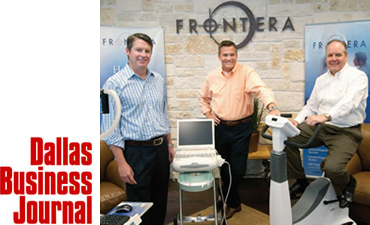 Frontera and Dr. John Moon of Village Health Partners, Plano, TX team up to help prevent heart disease. Are you taking these simple, preventative steps?